Earl’s All-You-Can-Eat diner in Plainview, Indiana, is home away from home for this inseparable trio. Dubbed the “Supremes” by high school pals in the tumultuous 1960s, they’ve weathered life’s storms for over four decades and counseled one another through marriage, children, happiness and the blues. Now, however, they’re about to face their most challenging year yet. the most terrifying battle of her life. Join these strong, funny women as they gather each Sunday at the same table at Earl’s diner for delicious food, juicy gossip, occasional tears and uproarious laughter. 1. What did you think when you realized Odette was speaking with her dead mother? 2. If you were regularly visited by the ghosts would you tell anyone? If so, whom would you tell? 3. What did you think of Mrs. Roosevelt? Why do you think Moore chose Mrs. Roosevelt? Did this add to the story in your mind? Did it bother you to see her as kind of a goof or were you amused? 5. Does he do a good job conveying the feelings of women accurately? Were there certain points in particular that you thought he captured any of the women’ thought lives very well? 6. The book went back and forth between Odette narrating and scenes described in the third person. Did that work for you? Why do you think Moore chose Odette to narrate? How would the book have been different if narrated by Clarice or Barbara Jean? 7. How do you think the structure added to the story? (moving back and forth from character to character and through the decades) How did it detract? 8. What character and/or story were you drawn to the most? 9. In the reviews many people commented that they had trouble remembering who was who. Did you have trouble distinguishing between the characters? 10. 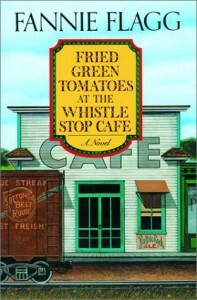 Much of the book takes place at Earl’s diner with Earl being a guiding source in the background. His character is never fully explored though and we don’t really get to know Earl. Why do you think Moore did that? 11. All three friends had unusual circumstances around their births. What were they and how were they important to their identity? Why was this important to the story? 12. Moore is an African American and the three women are African-American as well. How important is race to this story? 14. Is it easy to envision some of the relational aspects of the book working in a story with three white women? 15. How does Moore illustrate the mother daughter tension throughout the story? All of the women expressed a fear of becoming their mother. Who do you think ended up being most like her mother? 16. Clarice stayed with Richmond in part because of her mother’s expectations of how a lady should behave. Barbara Jean marries Lester and we read that it was hearing her mother’s voice that led to her break up with Chick. Granted, she’s a teen when this happens, but at what point in a woman’s life does her mother stop being to blame for what she does or says? 18. Did Barbara Jean make a wise decision to not stay with Chick? Do you think it was the right one for her? Was it fair of her to marry Lester while she was in love with someone else? 19. We don’t get access to the inner thoughts of James, Lester and Richmond. In what ways did Moore show us what kind of men each of them are and what they value? 20. Moore shows us inside their three different marriages. Was there love in each of these marriages? How would you describe their relationships? 21. In high school Clarice seemed to have the prize boyfriend, yet years later it is when she sees James try to style Odette’s hair that Clarice gains the determination to leave Richmond. Why do you think this moment was a game changer for her? 22. How did people respond to Clarice’s decision to move out? How did you respond? 23. Why does Barbara Jean find that good memories weigh as much as the bad and need to be drunk away? 24. All three friends seem to be in different places in their spiritual life. What is going on with them? How is religion handled in the story? 25. What did you think of Odette’s initial decision to keep her diagnosis to herself? 26. Leaning Tree is a small town. In what ways does this book show the good and bad of living in a small town? 27. Who were your favorite secondary characters? 28. The diner itself served as a character. What impact do you think it had on the overall story, the characters and the community? 29. What did you think about the ending? Did it fit well with the rest of the story?